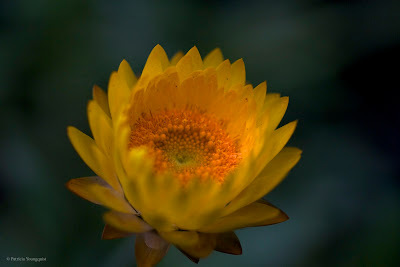 The images posted above are of one of the Helichrysum bracteatum AKA Strawflowers that grow in my urban (New York City) terrace garden. They were taken on December 5th, 7th and 8th respectively. Like most of the things (80+) which I grow there, they love to sing. 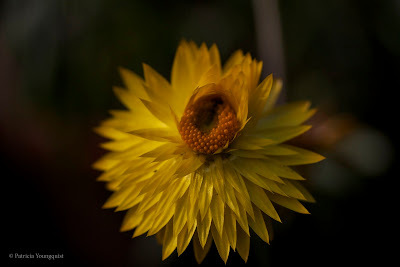 In fact, as you may recall, from a previous blog post (which you may read by clicking here), soon after this past Thanksgiving my Helichrysum bracteatum flowers, along with my White Swan Echinacea, were singing Cyndi Lauper's Girls Just Wanna Have Fun. I'd have to roll myself up in a big ball and die." According to the self-appointed "spokesflower" of my Helichrysum bracteatum plant, and pictured here, all of the Helichrysum bracteatum flowers are mindful that because it is December and they are annuals, their life in my garden (which has mainly perennials) is nearing the end, but they are determined to live their remaining days to the fullest. Hence, they continued to repeat the words, "I thought of quitting, But my heart just won't buy it". And the part about rolling up into a big ball? Well, they do roll themselves up into a ball, when it gets cold, when it gets dark, and when it rains. They become like a cat that curls up for a nap! 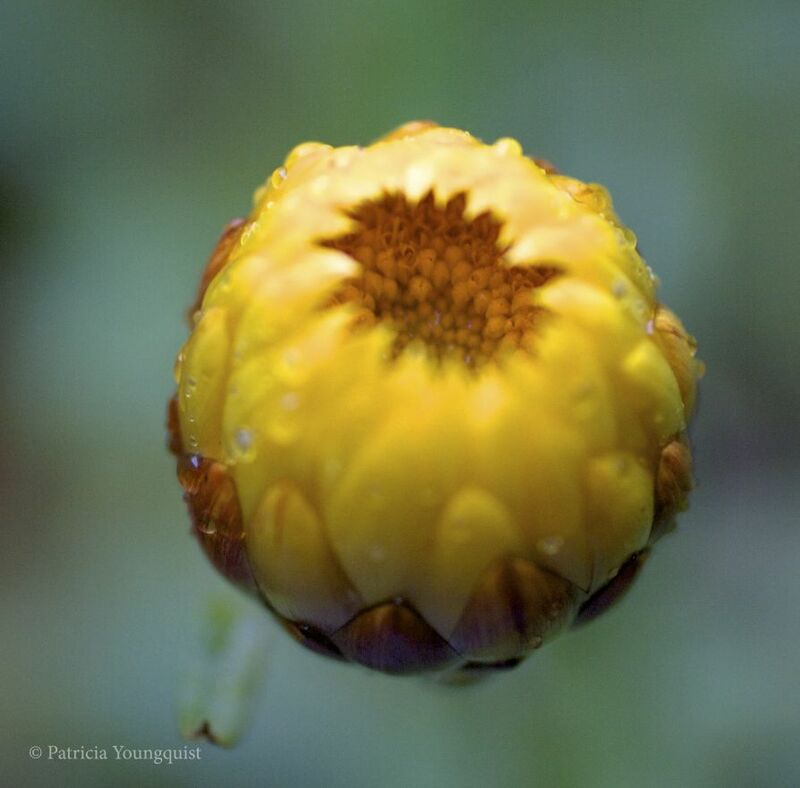 However, being true to the lyrics, my Helichrysum bracteatum, when they came to the line, "I'd have to roll myself up in a big ball and die," they laughed as they recalled Pearl Bailey, for when she sang the lyrics, she added her own touch, "I'd have to roll myself up in a big ball — I wouldn't make no little ball — and die."